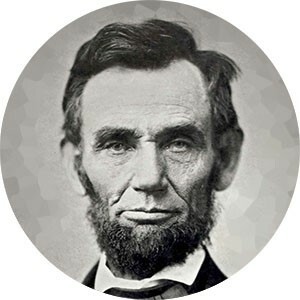 Famous Failures: Abraham LincolnBorn in 1809, Abraham Lincoln is famously known for being the 16th President of the United States. He was a champion of equal rights, and he blazed a trail towards the freedom of slaves in America. But Lincoln didn’t start out as a success story. He failed numerous times before attaining the highest office in the land. In 1832, when he was 23-years old, Lincoln lost his job. At the same time, he also lost his bid for State Legislature. Just 3 years later, at the age of 26, the love of his life, Ann Rutledge died. Another three years later? He lost his bid to become Speaker in the Illinois House of Representatives. In 1848, at the age of 39-years old, Lincoln also failed in his bid to become Commissioner of the General Land Office in D.C. Ten years after that, at the age of 49-years old, he was defeated in his quest to become a U.S. Senator. Of course, through all the personal, business and political failures, Lincoln didn’t give up. In 1846, Lincoln was elected to the U.S. House of Representatives where he drafted a bill to abolish slavery. In 1861, at the age of 52, he secured the office of President of the United States and has since become one of the most famous failures to ever hold office in the United States. His face also appears on the U.S. five-dollar bill.